There’s a genre of games that I hadn’t experienced until just a couple weeks ago. 18XX is the generic term for a series of board games that recreate the building of railroad corporations during the 19th century. 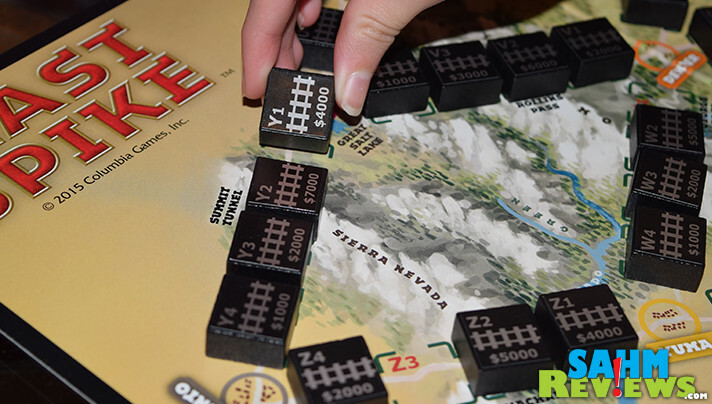 The 18XX series has its origins in the game 1829, first produced in the mid-1970s. 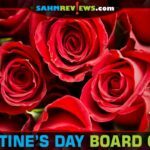 Today there are scores of titles covering the entire century and a few from the 1900’s and even one set in the near future in the year 2038! 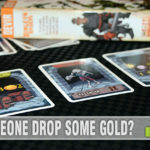 I had the opportunity to play a couple games (one and a half, to be exact) of the new 1846 by GMT Games at a recent gathering. Like most games, I started out slowly and am convinced if there had been a couple more turns I would have been back in contention for the win. We’ve always enjoyed train games as a family. 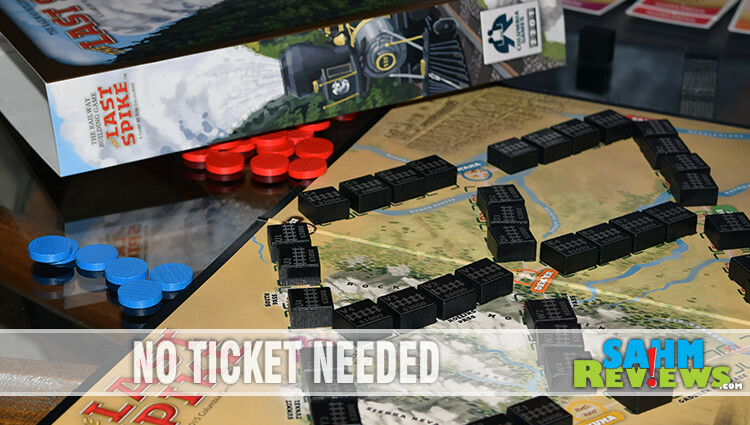 The new classic, Ticket to Ride, is a favorite to introduce friends to. 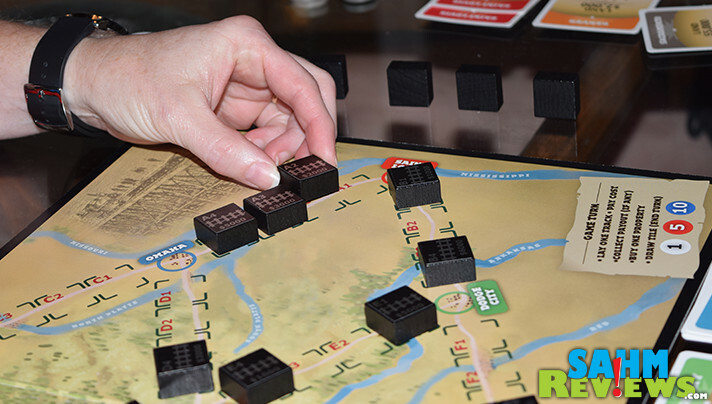 One of the first modern board games we talked about on SahmReviews was Boxcars by Rio Grande Games. Since then we’ve filled our collection with other popular train-themed games like Colt Express, Whistle Stop, Train Heist and more. But that doesn’t mean we have our fill of train games – we’re always on the lookout for more! Another fantastic game set in the world of railroadiana is one we suggested in our annual Christmas gift guide. 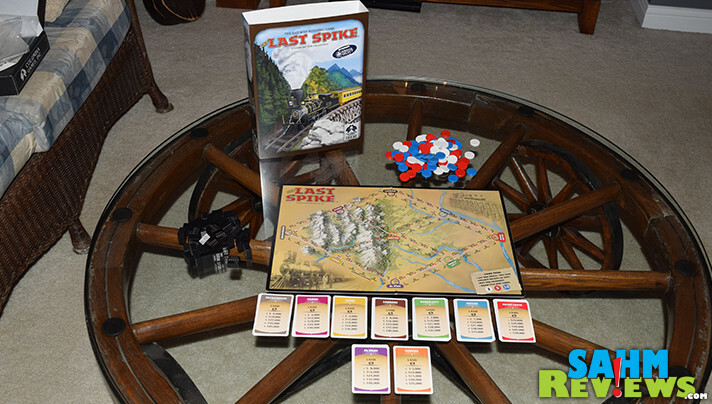 The Last Spike by Columbia Games celebrates the construction of a great railway between St. Louis and Sacramento, also presumably during the 1800’s. But unlike that multi-hour slog of a traditional 18XX games, The Last Spike plays in only around 45 minutes and is a LOT easier to learn! 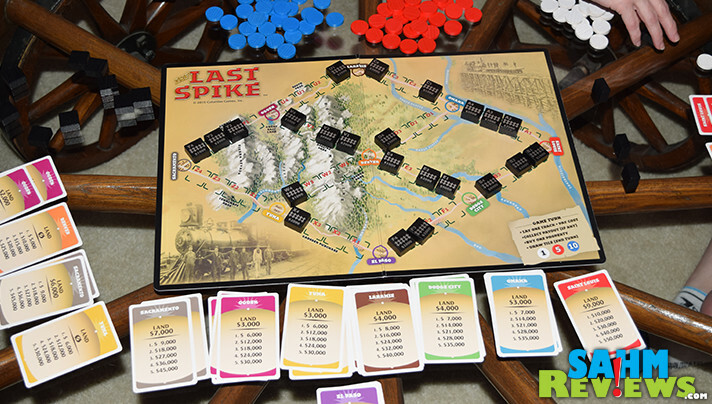 As with most railroad-themed games, the goal of The Last Spike is to be the player with the most money at the end of the game. Represented on the board are nine western cities which need to be connected to the railroad system. There are four area spaces between each pair of cities and are labeled with a letter and number for easy identification. Included in the box are 48 wooden tiles with stickers (you will need to apply them) which match these areas. Each tile represents the building of a section of track and vary in cost depending upon the underlying terrain. At the beginning of the game players will receive four randomly-drawn tiles, which are kept secret from each other. On your turn you will lay a piece of track and pay the listed cost, as long as it is next to a city or another piece of previously-played track. If all of your tiles are in open areas without anything adjacent, you must pay double the cost to build it. 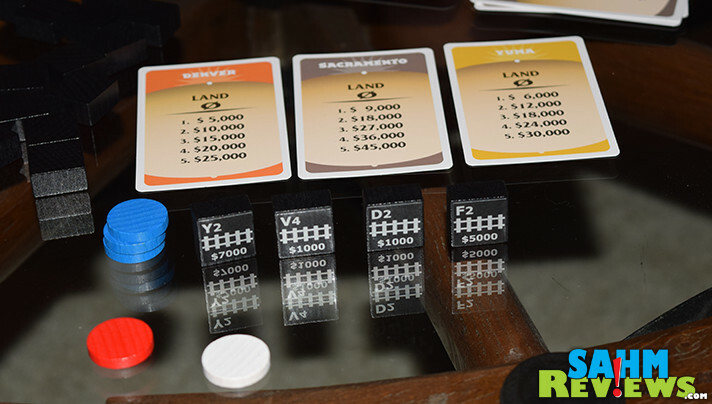 When two cities are connected by their four track sections, players who own land deeds in those two cities receive a payout determined by the number of deeds in their possession. If you were the first player to play a piece of track next to a city, you received the first land deed free of charge. Subsequent deeds for that city increase in price as more are purchased. On your turn you may purchase one deed for any city on the board whose first (free) deed has already been claimed. Then at the end of your turn you will draw one tile from the pool to replace the one you just built. Because you must build a piece of track at the beginning of every turn, you have to manage your money quite closely. If you cannot pay for the track on your turn, you must sell land deeds back to the bank at half price. And the bank doesn’t want any free deeds, nor does it want deeds from cities that have already been fully paid out (all of their connections are built)! Once a continuous connection has been built between Sacramento and St. Louis, the game ends immediately after that last city payout is made. The player with the most cash at that point is the winner of The Last Spike! Deeds only play into the game as a tie-breaker if two or more players have the same amount of cash. The cost of those properties is then also considered into the overall score. Designed for 2-6 players, we found the sweet spot to be right at four. This gives all players multiple options for laying their track without it filling up too quickly and keeps down time to a minimum. Of all the train games we’ve covered, The Last Spike fits nicely into a “starter strategy” category since you must plan out (predict?) where others will play and try to capitalize on their connections as well as your own. Copies of The Last Spike are readily available on Amazon for under $40 as well at your local game store (and game conventions!). Find out what else Columbia Games is building by checking out their game catalog on their website and following them on Facebook and Twitter! What is your current favorite train-themed game? Once again, another game that has piqued my interest. I’m going to be honest I didn’t even know there were any railroad board games. My grandson loves anything pertaining to trains, he’s only 7 so I’m not sure if this one would suit his age. 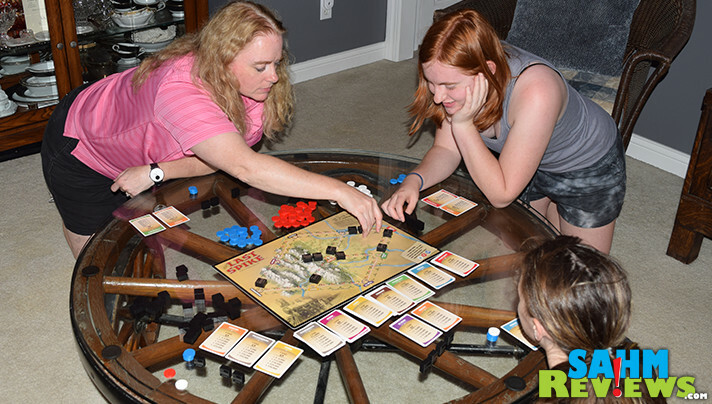 I would like to find out, I think board games are a great way to get the entire family involve for some fun. I have never played a railroad themed game but this one sounds interesting and might be a good one to start with. Looks like a good one for learning strategy. My nephew loves trains! I think he would really like this game. Now I know what I’m getting him for his birthday! Thanks for such a thorough review. Really cool. I just so loved board games though it requires time to start. Never will be too old for games.board games are fun!though it requires time to start. We love anything that has to do with trains around our house. Going to need to give this one a try. My kids love board games so much. Every Friday is game night in our home! I need to check this game out for them! Love the train/transportation theme of this. My niece has a birthday coming up and she loves ticket to ride, I bet this would be a hit too. This looks like a lot of fun! I love trains! We need to play more board games. 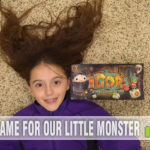 Your family are always sharing some really cool game! I don’t think I’ve tried a railroad-themed game before! I really like the history that is attached to these games. It opens the door for having historical conversations with the family.